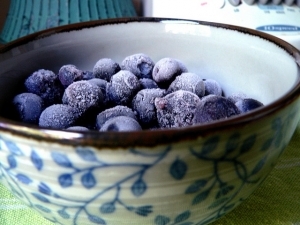 Summary: New research shows that freezing blueberries can boost the nutritional content of the berries. One study found that older adults (average age 76) fed blueberries daily for 12 weeks (2-2.5 cups per day) performed better on two different cognitive function tests, which included memory, than those who hadn't consumed the superfood. Blueberries have been proven to protect the retina from unwanted sunlight and oxygen damage. Consuming blueberries significantly lowers your risk of developing heart disease by regulating and relaxing arterial elasticity in the vascular wall. They also improve blood flow. Anthocyanin improves memory and mental fluidity, and can help protect against brain cell loss. Blueberries also stimulate nerve cell growth and facilitate better communication between nerve cell processes, in turn slowing the aging process. Blueberries offer antioxidant protection of the digestive tract by combating free radicals, some of which can cause cancer. This superfood plays a significant role in combating colon cancer. Romanian chemists from the University of Bucharest discovered that blueberries protect against heavy metals. Blueberry extract created a force field that acted as a barrier against cadmium, protecting cells from toxic heavy metal damage. Blueberries have a favorable impact on blood sugar, even for diabetics. Those who consumed at least three servings of blueberries a day saw significant improvement in their regulation of blood sugar. Blueberries contain a range of different antioxidants, all of which are beneficial to the human body. This range of nutrients provides nerve cells with protection from oxygen damage. Nerve cells are persistently at risk for oxygen damage, thus requiring continuous protection.